Anyone who doubts that the dominant platform for accessing the internet in the future is going to be the iPad should read this. Sales are now forecast to outstrip the sales of Macs themselves in 2011. But the interesting phrase here is “Mac for the masses”. The Mac v PC debate is an old one, but the introduction of this new hardware into the market, partly smoothing the edges of carrying a laptop around, while at the same time offering the best experience of surfing the web, raises the stakes. Why carry a laptop around when an iPad can do everything it does? Couple this with computing in the ‘cloud’ and the size of the hard drive becomes less important. The iPad gives people a great taste of just what computing on a Mac means. The iPad is of course also now responsible for the growth in the number of mobile applications, many of which now give people a better online experience than a traditional website. While plenty of PC users bought and became advocates of the iPhone, it was still a phone – something that the desktop PC wasn’t interested in competing with. But the iPad moves into its territory. It’s also much more affordable than a laptop. 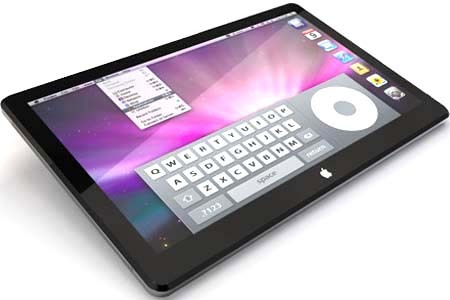 But of course Apple will be sure to release iPad 2.0 sometime soon. It will iron out many of the teething troubles of the original – but will it work with flash? Will it have a camera and USB ports? Before becoming one of those contributing to the sales of iPad next year, you may want to wait. But then what about iPad 3.0?